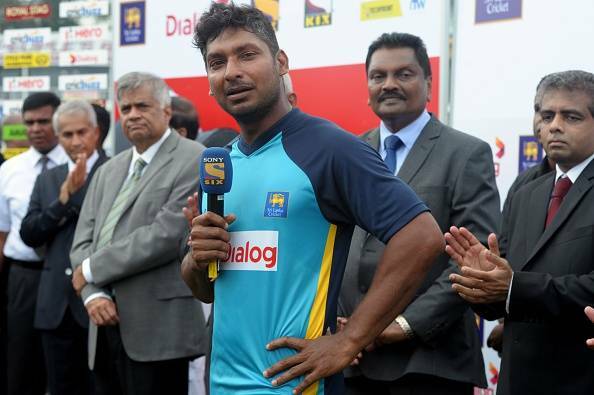 Veteran batsman Kumar Sangakkara has declined the role of Sri Lanka's high commissioner to the United Kingdom. Deccan Chronicle revealed that the recently retired cricketer cited a busy domestic schedule and other commitments as he turned down the prestigious post. Earlier, Lankan President Maithripala Sirisena had publicly praised the stalwart’s contribution to the island country and offered the position to him. Even Sangakkara was surprised at the President’s statement and hence had sought some time to consider his answer. Widely considered as one of the greatest batsmen to have ever graced the game, he was adept at modeling his game according to different pitches and conditions. Kumar retired from internationals at the end of the 2nd Test of the India-Sri Lanka series at home in 2015. However, he has been actively involved in plying his trade for numerous T20 leagues around the world such as the Big Bash, Bangladesh Premier League and Masters Champions League. Widely sought after by franchises as he is still performing with considerable success in these leagues, the 38-year old has also made a mark off the field for his sharp acumen and outspoken personality. The Sri Lankan is also renowned for his magnanimous charity work during various disasters. Notably, his impeccable lecture at the MCC Spirit of Cricket in Lords in which he lambasted his own board for incompetent administration was received warmly by global cricket aficionados. He also dealt with sensitive issues such as the ethnic conflict in Sri Lanka with remarkable poise. Kumar Sangakkara who has scored over 28,000 runs from 594 international matches is second only to the great Sachin Tendulkar when all 3 formats of the game is combined. He has a boy and a girl with his wife, Yehali.